What is the difference between Primary and Secondary batteries? All batteries can be classified into two groups – Primary and Secondary. Primary batteries are not rechargeable. They irreversibly transform chemical energy into electrical energy. Secondary batteries are rechargeable. When supplied with electric current they are able to transform the electrical energy back to chemical energy. 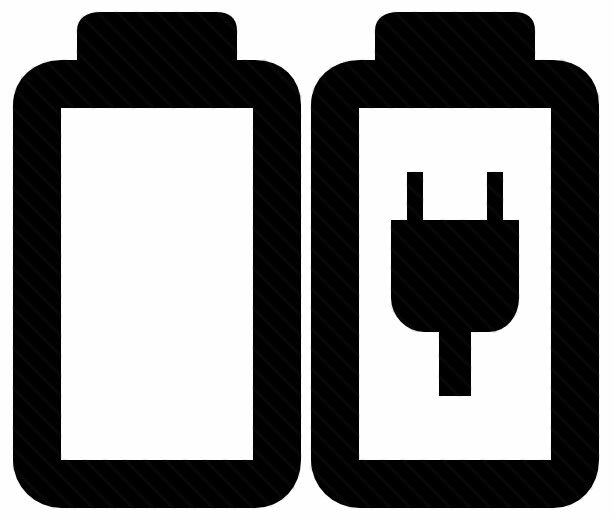 Primary batteries cost less and are commonly found in devices that have low current drain such as wristwatches, remote controls, alarm clocks and children’s toys. Apart from being inexpensive, primary batteries have more advantages – they are widely available, posses high energy density, long storage life and are environmentally friendly. These batteries can produce current immediately after assembly. Secondary batteries are also known as rechargeable. Their initial cost is higher but they can be reused many times. Keep in mind that secondary batteries are not able to be recharged indefinitely due to dissipation of the active materials, corrosion and loss of electrolyte. Secondary batteries are usually assembled in a discharged state, meaning that they must be charged before first use. However most manufacturers and merchants, BatterySharks included, send their batteries pre-charged. The oldest rechargeable battery is the lead–acid one. It was invented in 1859 by French physicist Gaston Planté. During the 1970s another type of rechargeable battery was developed – the Sealed Lead Acid. It is also known as Valve Regulated Lead Acid and offers distinct advantages over the conventional lead-acid batteries. You can read more about that in this post.